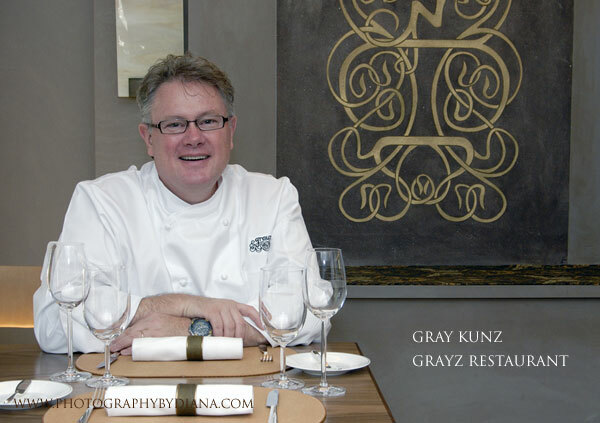 Gray Kunz, the chef and owner of Café Gray in the Time Warner Center, New York, has just opened his new midtown bar and small-plate restaurant aptly “Grayz” in the former Aquavit space at 13-15 West 54th street. 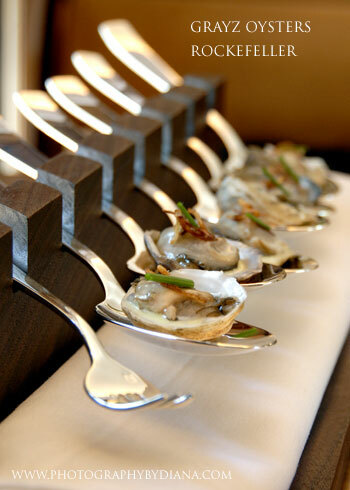 Kuntz, who is also consulting chef for Molasses Reef, a Ritz-Carlton Reserve opening on Turks & Caicos in 2008, was the award-winning chef at Lespinasse where he earned four stars from the New York Times for his blend of Asian and French cuisines. We spoke with Chef Kuntz just before the restaurant opened in early September. NYRI:	From the time you were planning it until now, how has Grayz evolved from its original concept? Gray Kunz: The basic idea has not changed. A lot of details have changed, but the basic setup of the restaurant has always been to have the first level here with the 2 fireplaces, a small place with finger food, a no reservation policy at night; and all that blends into becoming much more of a bar/lounge concept. Downstairs has not changed either; it is more for private parties, private events, and catered events. So there are two ideas here which complement each other. I never thought that this could be a normal restaurant because it was set up on two different levels, and that’s why I always liked the bar lounge idea. There is a staircase leading downstairs which brings you to a room that we call Speak Easy which is also a very cozy room. That could be used for cocktail receptions and things like that. NYRI:	Will the large atrium room downstairs only be used for private functions? Gray Kunz: It would also be used for lunch but if I look at the bookings that we have for catered events, I think in October we have only one evening left, so that is a good indication that private event spaces are in high demand, especially midtown. NYRI: So you will be varying the use of both floors? Gray Kunz: Yes, that is the beauty of the space. The fireplace room has a glass door, so we can close this off and seat 20 people here. We have multiple areas that we can either expand or make smaller. I think that is really what makes this place very convenient; we can have all these multiple functions that can happen at the same time. NYRI: How has Café Gray been going? Gray Kunz: Café Gray is doing very well. We are going to reopen for lunch again on October 1st. We have a lot of areas to improve still, but it is not that far away from here so I can pretty much head over there quickly if I need to. We are reducing unrelated costs, and we are doing all the things that the business needs to do in addition to improving the quality all the time. There is a good team over there so I am very, very pleased so far, and now I am trying to get this one off the ground. NYRI: So tell me about some of the ingredients and flavor combinations that you have tried here, is there some spillover in what you were doing at Café Gray as far as signature dishes? Gray Kunz: I tried to keep it very distinctive in its presentation and in the things that we do. First and foremost, you do not ever want to cannibalize another business that you are running. What we did do however, was to plan very carefully for 6 months and we actually ran some bar food items at Café Gray to see how the response was. We had an overwhelmingly good response. It was basically a totally different concept, a different presentation. But I took some basic things like fried calamari and we did a twist to that, and Oysters Rockefeller done our way. 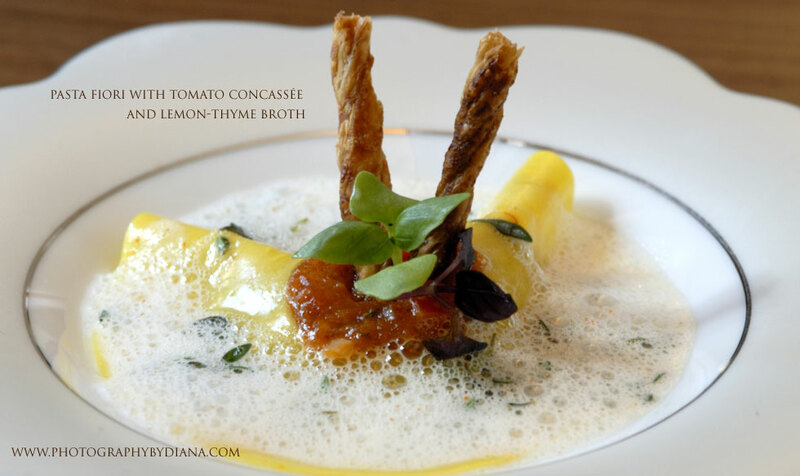 There are a lot of things that I try to implement into the menu, strong flavors, and different seasons. 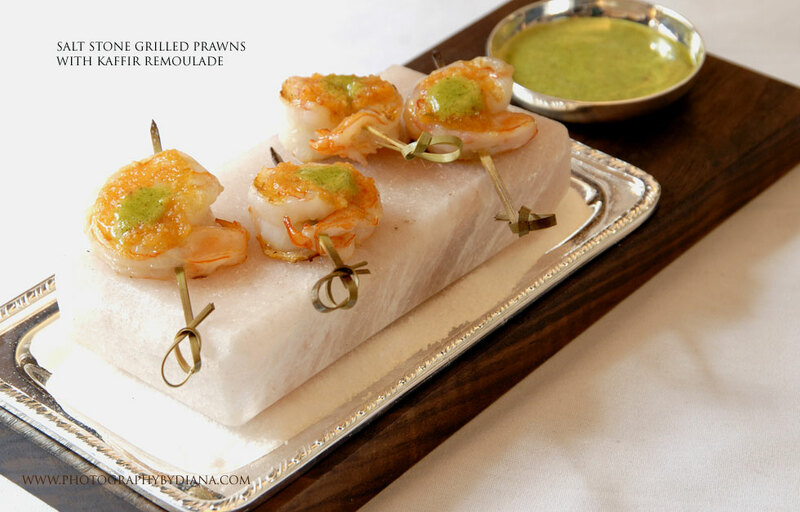 We are going to start with the Indian summer menus that are very distinct for a more finger-food, small plate concept. Certain things, I think, will become classics here. NYRI:	How much of the staff here were brought over from Café Gray? Gray Kunz: From the kitchen there were maybe 4 staff members that were trained at Café Gray prior to coming here. They had their own function at Café Gray, their own positions, and then they were promoted to come here. When it comes to the front of the house, there is a new general manager, Scott Young. The assistant general manager from Café Gray was someone who worked with me in the past. So there were quite a few people actually from Café Gray. But I think the trick is when you start to expand, not to harm the base by expanding. And that is a big, big problem if you do that, because then you unstabilize both restaurants. So we are very careful to give us enough time to be able to either rehire or not take from Café Gray at all. NYRI:	When did executive chef Martin Brock join you? Gray Kunz: Martin joined us 3 1/2 years ago now. He came in with a student J1 visa from Germany. We applied for another visa for him and now, he is now the chef here.He worked at some very good houses in Germany, some excellent places and 3-star restaurants in Germany. NYRI:	Why did you decide not to take reservations for dinner, only for lunch? Gray Kunz: We took that daring move because I felt that this is something people want. It’s a gamble we are taking in one way but I think it is going to work out very well for us. We will always have a table reserved; people are going to call in advance and they can reserve a table. That is feasible, but when we are full, we are full. NYRI: What are the roles of the different chefs you have working here between the kitchen upstairs and the one downstairs? Gray Kunz: Martin is overseeing both kitchens for private events, but he is mostly up here helping me execute the small plates at night, and the sous chefs will be downstairs. Then I have a sous chef that will take care of most of the downstairs and being kind of a floater between both. NYRI:How much time are you going to be spending here as opposed to Café Gray? Gray Kunz:I think initially, a lot of time here. Probably 80% or more of my time here initially, and then I will be going back and forth. I think that they need me here desperately for lots of things. But I think it is important for me to be here and then be in both. When I go back to Café Gray, I am going to do a quick peek inside. That is expected that I am home. I think there is going to be a lot of time spent here just to get the infrastructure in place. NYRI:	How are you handling PR for the opening? Gray Kunz: What we would like to do is to open softly, meaning friends and family and so forth. The worst thing you can do is at the homestretch to try to jam everything in there because you want to get a quick return and get as many customers as you can in the beginning. What happens with that is the restaurant then cannot handle it. So what I have done in the past is we have never given an opening date or time. We ease ourselves into gradually increasing the amount of business we can handle, and I think that is a far better way to go. I have a 20-year lease here, so I am going to be here for the long haul. NYRI:	In a place like this, you could probably get hammered if you open too quickly. Gray Kunz: Absolutely, particularly for lunch. I can really pack the restaurant in from day one, but I think that it’s best that we be careful about how much we can handle. If we opened the doors and we can handle x-amount of customers, let us not have the customer pay for our training. We will have small things to work on, but I try and do that at night because I do not think it is right to train on paying customers. NYRI:	Are your investors a different group than the ones who worked with you at Café Gray? Gray Kunz: Totally different team. And that is what I wanted. It is better that way. For me, I am gradually looking at creating a structured place. I hate to use the word corporate, but I’d like more centralized offices, centralized buying and centralized distribution. This is coming along in the next year or so. My strategy has always been to be here for the long haul; I am not going to try and run to Las Vegas and be everywhere. I think there is a good spot for me here in New York and I should continue doing what I believe in.